In today’s digital age, having a website for your business is not just necessary, it is almost critical. A website is your calling card, offers a sense of legitimacy to potential consumers and can become a source of income with the proper training, tools, and strategy. While the idea of paying a web developer may not seem financially feasible or you don’t trust handing the process over to someone, or the thought of building a website yourself seems virtually impossible, fear not!. Internet is your friend here, because there’s a huge plethora of courses on how to be your own boss which you can find pretty much everywhere, free & paid. You will learn in your own way and in your own time how to feel confident building your own website after learning website creating with WordPress. This course teaches you how to build a website with ease, master layout designs that will draw attention with user friendly design, and the power of SEO. You will also gain the tips, and tricks needed to learn successful marketing strategies, and the tools needed to begin your own affiliate marketing program. 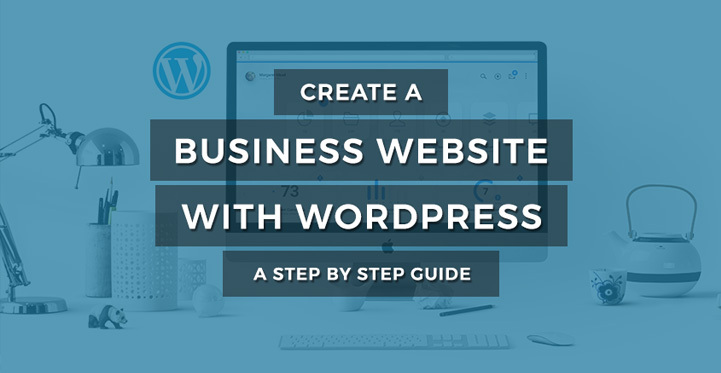 Learning Website creation with WordPress is simple, easy and will help you gain the confidence to be your own boss and manage a successful business on your own terms. Whether you know a little about website design or don’t even know where to begin, this easy to understand course will teach you how to create and launch a user friendly website by hand with basic knowledge and a fundamental understanding of code, the importance of layout and creating a product that is as successful as your business. Furthermore, you will learn strategies to build successful marketing campaigns and SEO skills to bring traffic to your site. This well-rounded course will help you harness the tools to build a customer friendly website and is broken down into incremental steps taking the intimidation out of building a website. Learning at yur own pace with the help of an instructor available at any time will help you achieve business excellence. While taking this course, a tutor will teach you how to design a fully functioning WordPress website taking the intimidation out of what some may see as a big project. Give your a business a boost from the start by saving on a web developer and create a site that means something to you and meets your own business needs. You will also understand affiliate marketing and how to successfully draw in clientele, create a customer base and bring in potential passive or primary income.Harnessing tools that will help your business stand out such as email marketing campaigns, optimization and content that is dynamic, the sky is the limit with your new found knowledge and you will soon be on your way to managing every aspect of your business, effectively being your own boss. This course is maximized to help you create the most well-rounded website and successful business possible. This lesson will provide tools and skills needed such as email marketing skills and keyword optimization alongside the knowledge needed to build a WordPress website from the ground up. With your newly acquired business and marketing skills, alongside the opportunity to learn how to create your own profitable affiliate program, you will be on the fast track to become your own boss and creating a business that is successful. Find your niche with the harnessed power of knowledge and confidence in your newly acquired skills. Watching this course and with our guidance, absorbing everything it has to offer will not necessarily be the ticket to instant profit. Applying strategy, knowledge and the tips offered while learning website creation with WordPress can open many doors for you. Working on your website everyday, developing your product or pitch and offering content that is appealing will be critical to drawing attention to your business. If you are just starting out as a business owner, Affiliate marketing programs are powerful sources of income and a great way to delve into the world of business and marketing. More importantly, learning the basics of WordPress can become a stepping stone to learning more about WordPress and the assets this powerful content management system has to offer. This course is divided into two major sections. First, you will learn how to build a user-friendly WordPress website from start to finish. You will learn how to use plugins to enhance the site including pop up marketing, email campaigns; positive forms of marketing that will draw in new customers. Understanding how to use layouts and design to draw a consumer or readers attention will also be covered. An efficient layout matters and will determine whether a customer returns to your website. Finally, you will learn how to produce content that is attention grabbing along with the power of Search Engine Optimization. Once you have built a site that is guaranteed to draw attention you will then move on and learn how to harness the power of affiliate marketing for beginners. This course offers a simple structure. The class begins with the bare bones basics of web design, optimzation, marketing. Each topic is broken down into small chapters that are easily absorbed and the lessons are highly flexible. Learning how to build websites with WordPress will do more than just increase your bottom line and give your consumers confidence. More importantly, knowledge is power. This course may do more than help set you up for success as an affiliate marketer. Having web design, marketing and SEO knowledge is a powerful asset to have in your back pocket and can snowball into bigger opportunities leading you to a path that gives you a plethora of opportunity. Without the stress of rushing or unexpected exams, you are able to absorb all the knowledge, tips, and tricks needed to become your own boss and harness the power of online marketing. Taking on this course will give you the power to be your own boss and take control of your own financial future. This entry was posted in wordpress on December 21, 2018 by SKT Posts Themes.